In a recent post, I shared Keetwonen with you, a container housing project for students living in Amsterdam. Now I want to share Groningen. 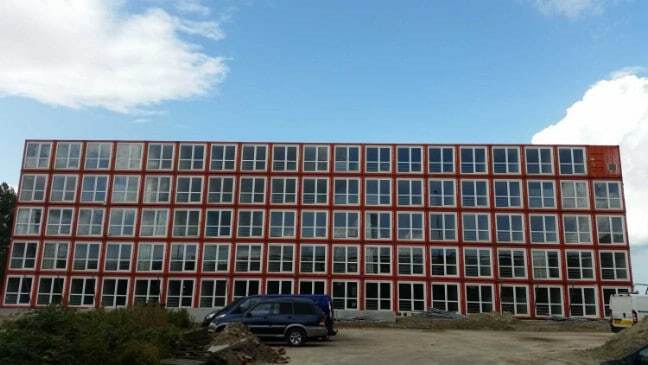 This development is also for students, and includes 249 dormitories. If the project looks similar to Keetwonen, that is because it is actually in a way an extension of that project. Groningen was built over an eight week period, and was finished in October of 2018. It was quite literally made of containers from Keetwonen. 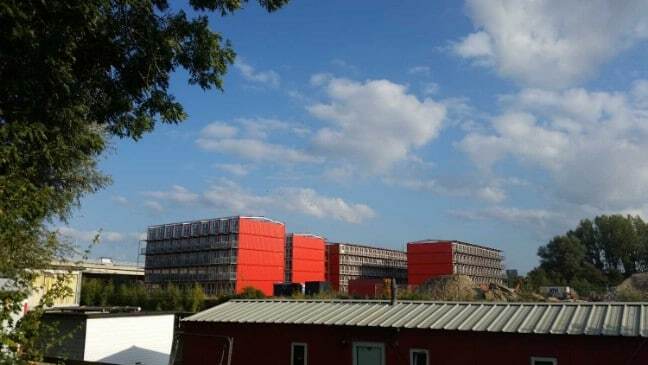 Indeed, just looking at these photographs, I would never have guessed that these were not brand-new container dorms unless I had already read up on the Keetwonen project. 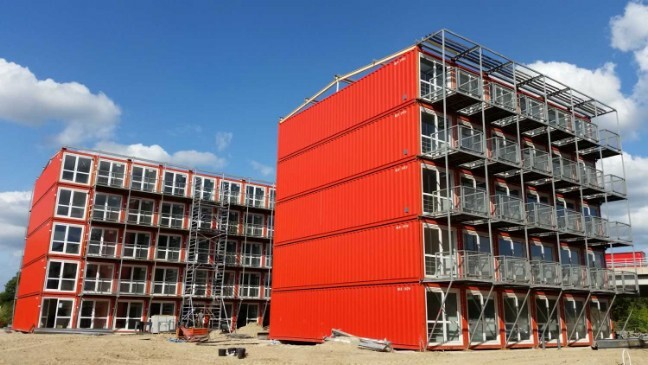 This is a great demonstration of the versatility of container housing, and how individual units can be transported and repurposed with ease and minimal expense. 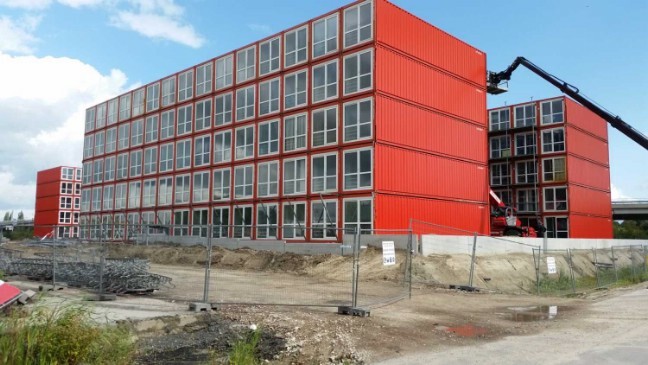 It also shows that container homes can stand up to wear and tear (student housing is after all a litmus test of this) and remain in great shape for many years. If you want to learn more about Groningen, you can do so at Tempohousing. While you’re at it, make sure to navigate to the Projects tab at the top to view Keetwonen and the firm’s other projects.